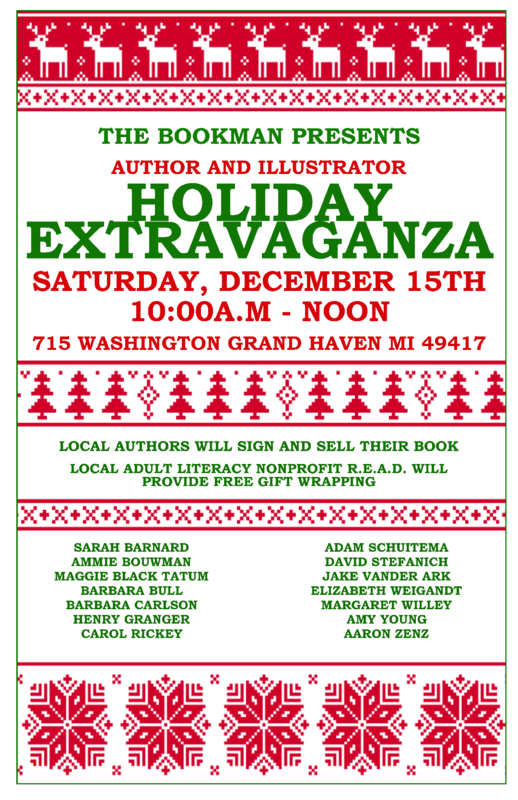 Cherry Point owner Barbara Bull will be among many local authors at the above event in Grand Haven from 10 am to 12 pm on Saturday, Dec. 15, 2018. Please join us if you're in the neighborhood! Thank you WZZM13 and The Book Nook & Java Shop for recommending "Whispers on the Wind," Barbara's award-winning third book in the Katherine MacLeod series. Click here to see the segment. Barbara accepting her IPPY award at the Copacabana Club in NYC. 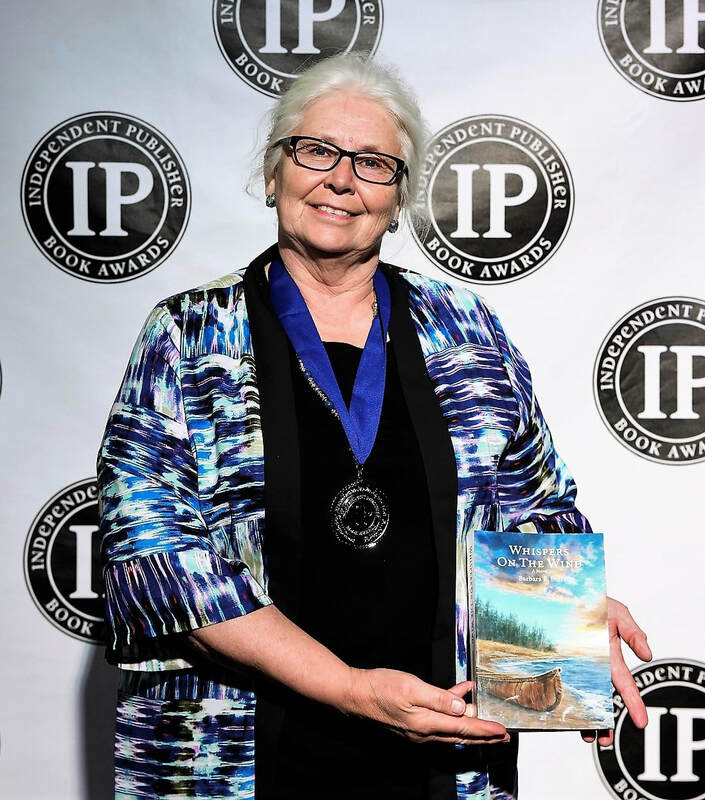 Barbara's third novel in the Katherine MacLeod series, "Whispers on the Wind," is the Silver Medal recipient of the 22nd Annual Independent Publisher Book Awards, Great Lakes Region. The next novel in the series, "Still Waters," has just been released. During the winter months, when Cherry Point owner Barbara E. Bull is not busy welcoming visitors to the Market, Labyrinth, and Fish Boils, she is most likely working on her next book. Above, Barbara (on the right) and her illustrator, Deb Hoeffner, discuss the artwork for Barbara's children's book, Benjamin's Gift. 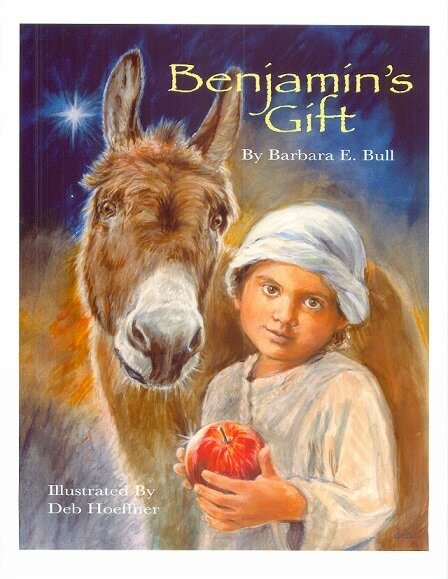 It is the story of a donkey, a lamb, Bethlehem, an apple, and a little boy named Benjamin who lived a very long time ago. This tale shares a delightful message. 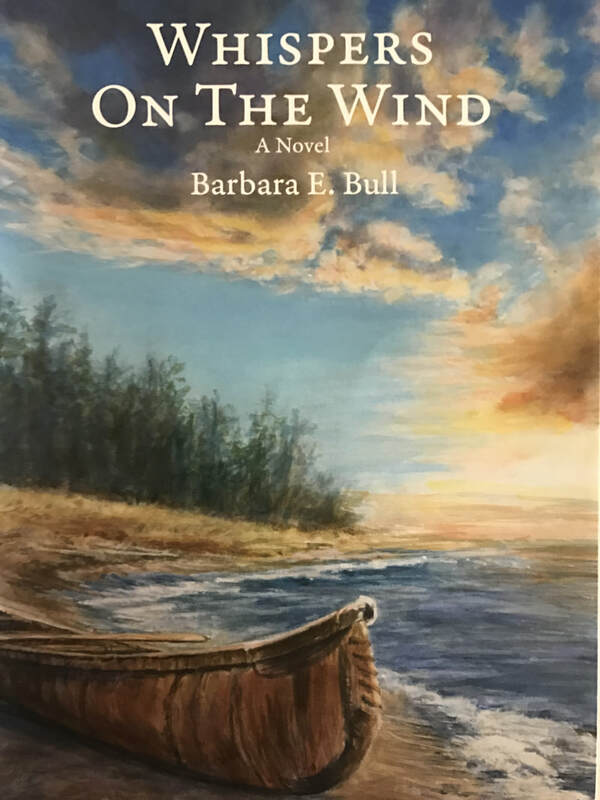 Two of Barbara's books, A Point in Time and A Point of View, are historical tributes to her family farm and the little slice of paradise along the Lake Michigan shoreline which it occupies. Barbara has also published four novels which center around the Little Point Sable ancestral cottage of the MacLeod Clan, whose matriarch is the strong, independent Katherine MacLeod. This series delves into the history of the family and the cottage, and also the history of our special area along the shore. The fifth book in this series is in the works and will be published in 2019. For more information, please contact Barbara at cherrypointmarket@gmail.com.